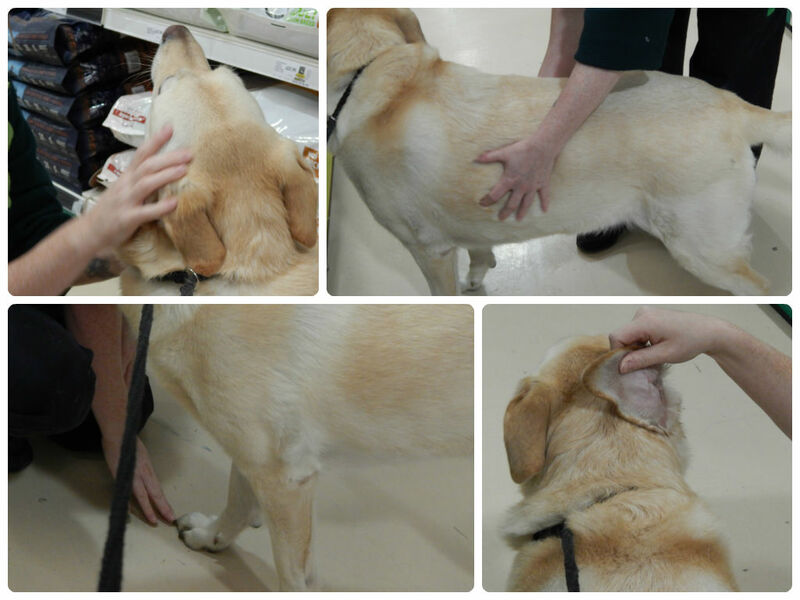 Yesterday Lilly and Bunk were invited to our local Pets at Home for a nutrition consultation. To be honest I was expecting a few minutes chat and some general advice on what and how to feed my dogs, instead we spent there almost 2 hours. Yea… long time but it was actually really worth it. Bunk scored a perfect 4 whilst Lilly only got 6-7 which means that she is overweight. It was hard for Rachel to determine her perfect weight because Lilly is a cross breed but in a bulk perspective she needs to drop a kg or two. This wasn’t a bad diet in Rachel’s’ eyes but she had a few suggestions. First of all change lamb to a lower fatty meat based food, secondly put them both onto a senior food and third, make it a large breed food in order to get all the nutrition they need. I actually didn’t know that lamb based food is considered a fatty one so this was something new for me. I also didn’t know that giant breeds should be changed onto a senior food much earlier than other dogs. Bunk is only 4.5 years old. Rachel suggested that he should eat senior from year 5 but doing it earlier isn’t going to hurt him, in fact the opposite, it can only help. So we had our main components for the food all set, so it was a time to find the perfect dinner match for them. 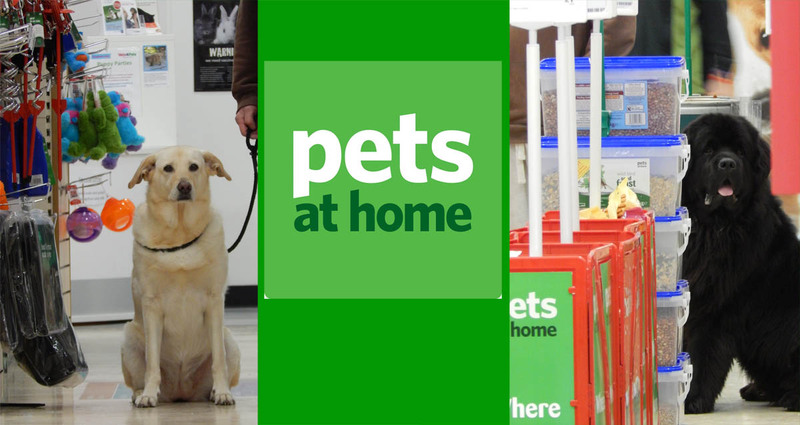 Pets at Home stock a lot of different brands. We looked at Wainwright’s and Burns, and Hills… At some point I asked “Shouldn’t you be recommending your own food?” I think Rachel wasn’t ready for this question but she answered me “If I thought that it will be good for your dogs I would. 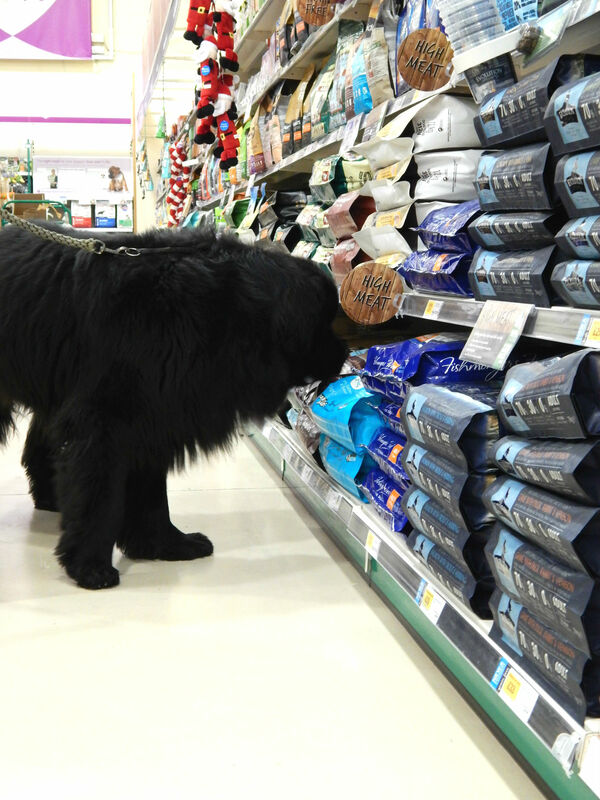 Every dog has a different dietary needs and not every food will be right for them. 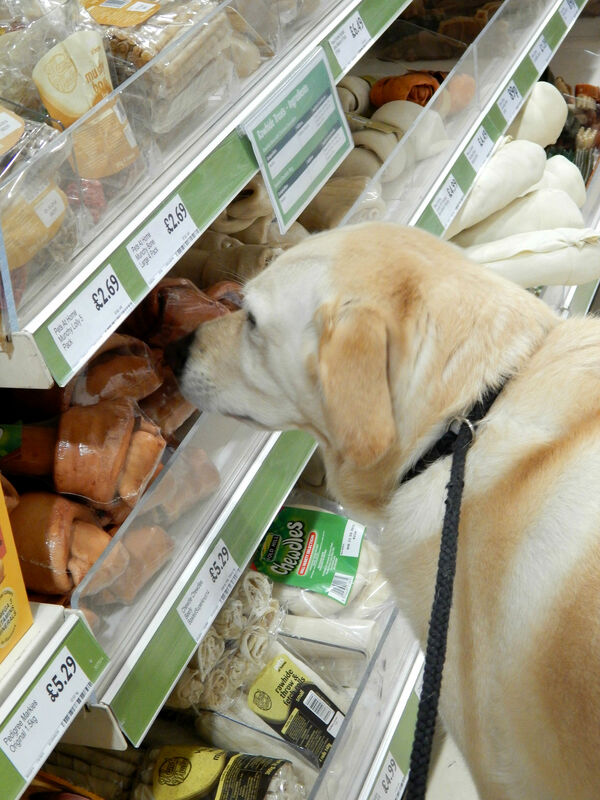 My job is not to push sales of our food, my job it to find the right food to match the needs of your dogs”. I loved the answer. Really at this point I could have given her a kiss! 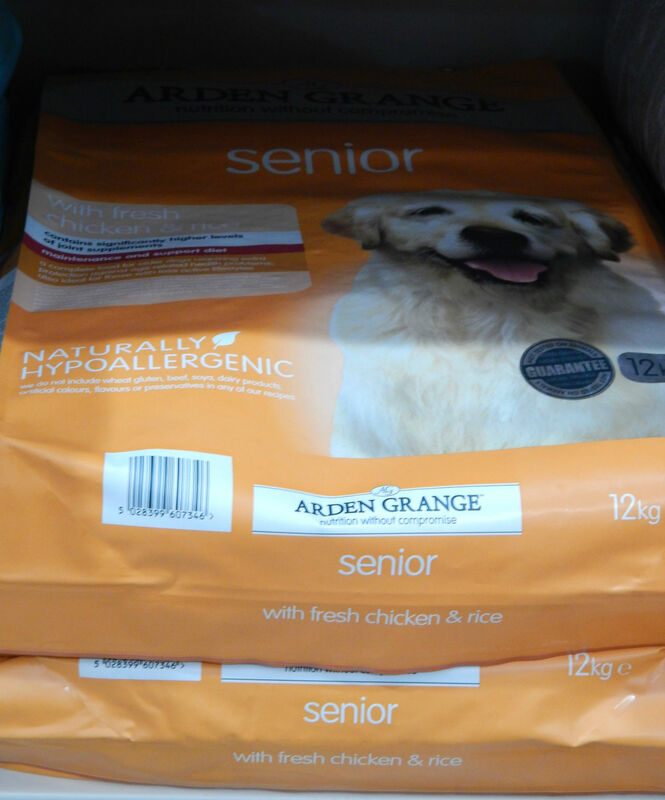 Anyway… after a long discussion and detailed checking of the food contents we decided on Arden Grange Senior and NatureDiet Senior Lite. This is what Lilly and Bunk will be fed from now on… oh ok, I have to get them used to their new food, so I will be slowly adding some new food and mixing it with their current one. I will update you on how they are doing on the new food shortly but for now I will leave you with this… if you have never had a nutritional consultation for your pet, you should book one. I think I am fairly well educated when it comes to dog food and pet care in general but during these 2 hours I did learn quite a lot of new and interesting facts. Thank you Rachel, it was a pleasure. And we are all looking forward to meeting you again on the 26th of this month. * Lilly and Bunk received a free consultation as well as advised dry food to last them for the duration of the challenge. Thank you but we don’t do “samples” for a dog food as they need time to get use to it. Very useful actually- I have 2 kittens who love lamb and had no idea this was seen as fatty! haha that is a cute stare! I have always wanted to have a dog and this one is the best discipline for dogs. Btw, your furry family members are so gorgeous! My Millie says HI! I don’t have any pets but what a useful and informative post. Your dogs are gorgeous. It sounds like a valuable and informative meeting. The food sounds nutritious and tasty. Keep us posted on your observations. Good food is expensive, I have to agree with you on that one, but on the long run it is worth it. Less chances of your dog getting ill later in life. I will keep weekly updates on how my guys are doing after diet change. Give a hug to Rufus from us. Looks like you guys had a great experience, your dogs are so cute! That is cool that the pets can pick out their own treat 🙂 So many bones to choose from! Sounds nice. I hope they take to the new food well. I need to focus more on taking care of their teeth. Sadly, I forget. Customer service does make the business. How great of them to be so helpful! Hope your dogs like the new food! Your dogs are so cute! Wow they really do check everything don’t they, I wouldn’t of expect that for consultation. Thanks for sharing! I love that they take so long to really go through everything, you’re doggies are so cute! I don’t have any pets yet but I know when we do this is something that we’d consider doing. Really cute dogs. Really looking forward to hearing how you got on with your next update. Oooh I have 3 labs so am interested to see how you go. Will follow you on twitter for updates.